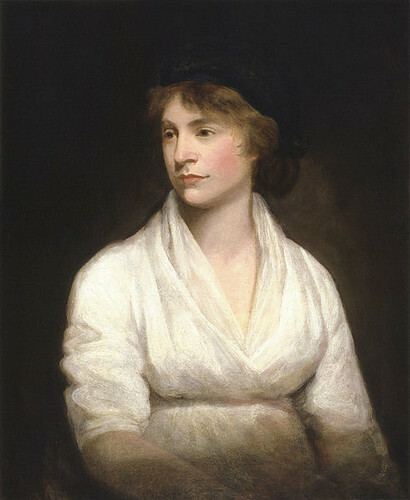 Mary Wollstonecraft was an eighteenth-century British writer, philosopher, and feminist. Wollstonecraft was a remarkable woman. In her thinking she was ahead of her time to an extraordinary degree. She lived in the eighteenth century when women’s lives were very restricted, but wrote in favour of women’s rights. She spoke in favour of boys and girls being taught together in the same schools, or co-education as we now call it. She also believed in informal conversational methods of teaching, and lots of physical exercise. This was a hundred years before free, universal education was brought in, and long before informal child-centred approaches in teaching. The structure of society, based on privilege and inherited property, favoured men. Women had virtually no rights and were not allowed to vote. They were rarely given an opportunity to use their intellects in professional, managerial, artistic or academic roles. Wollstonecraft believed that society was wasting its assets because it kept women in the role of ‘convenient domestic slaves’, and denied them economic independence. She demanded that women should be trained for professions and careers – in medicine (not just nursing), midwifery, business, farming, shop-keeping. Her most famous book, A Vindication of the Rights of Woman, was published in 1792. It is now honoured as the first serious book to put forward feminist arguments. She married William Godwin, an atheist and free-thinker who shared her outlook on life and society. He too was a writer and scholar. Her daughter Mary became the second wife of the great poet Shelley, who was also a freethinking atheist, and wrote the novel Frankenstein. Sadly, Mary Wollstonecraft died at the comparatively young age of 38, following the birth of her second child. The conservative press of the time attacked this brave, outspoken woman, though she has always been honoured by freethinkers and humanists. She was criticised for blasphemy, for her support of Thomas Paine, the remarkable Englishman who helped the Americans in their War of Independence and the French in their Revolution, and for having a child outside marriage. Her life and attitudes reflected the more enlightened views of her age, and she had an optimistic belief in the possibility that society could be improved through self-advancement and self-education. She also felt strongly that we should think and live our lives independently, without relying on a supreme being. She spent her short life working for these ideals and especially to improve the rights of women.